Successfully Added MP4 Player with 1.8 Inch OLED Screen (2GB) to your Shopping Cart. 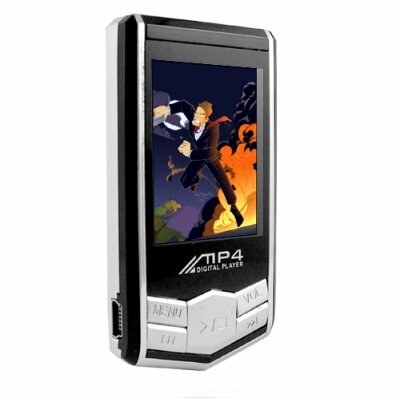 MP4 Player with 1.8 Inch OLED Screen (2GB). Combining 65000 color OLED screen, easy to use design, playback for audio and video files, digital picture slideshow function, and multi-language menus make this wholesale digital media player worth more than models twice its price. Note: This product plays MP3 and WMA music files. Video files need to be in the AMV file format. We recommend using the included software or other open source tools such as "MP3 Player Utilities 4.10" to convert your existing video media files into AMV format files. Smejd vyroben zlutasema. Sere se to jako krava, upadavaj soucastky. Naustale se formatuje pamet a rozhrani s PC je neskutecne pomaly. Cestina nepouzitelna. No kdyby to bylo bez posty, tak by se dalo rict, ze to je mozna OK. A cenzuruje se tu vse, co neni pozitivni hodnoceni, takze tem kecum neverte. Interestin product in the sence price/service. Small product for modest user. This was product was quite a surprise for me. Smaller than I imagined and video quality far surpassed what I expected. Everything worked fine and it definately did not disappoint. Rich vibrant colors, well lit screen, smooth video playback and good sound. Only downside would be the earphones and the whole formatting issue. Definately worth a try. on 2007-05-12 02:38:45 COOLY TINY!! Hi, This MP3/4 player fits in your palm, its tiny!! Butons still easy to press! !